[toc]Dandruff is a very embarrassing problem of the scalp from which many people suffer. It causes itchiness and dryness in the scalp which leads to immense discomfort. Acute dandruff usually leads to hair fall and makes you hair look unhealthy and lustreless. Dandruff is mainly caused due to excessive dryness of the scalp. While other factors like too much use of harmful chemical based shampoo, too much stress, hormonal imbalances and lack of improper diet can also often lead to dandruff. It is very important to take care of your hair regularly in order to treat dandruff. Instead of using the hair care products available in the market, it is best to follow effective natural home remedies to keep you hair clean and dandruff free. If you follow a regular hair care regime then you can easily treat dandruff permanently. Below are a few very useful home remedies to treat dandruff completely. 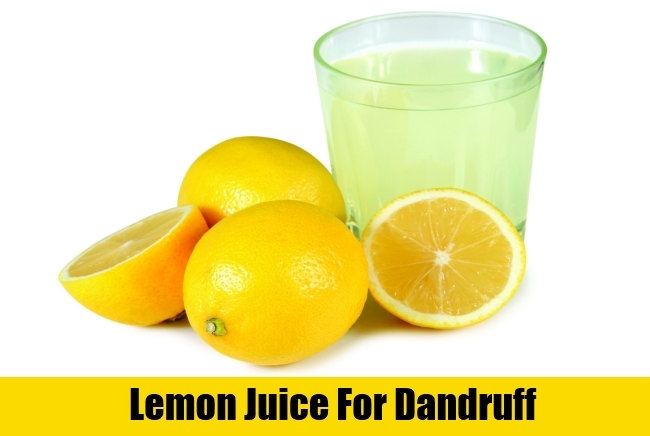 Applying lemon juice in scalp is a very effective remedy to treat dandruff. If your scalp is very itchy and has acute dandruff then massage about 2 tablespoons of lemon juice on your scalp and then wash it off with water. After this stir about 1 teaspoon of lemon juice in 1 cup water and rinse your hair properly. Repeat this process daily and within few days the itchiness and dandruff both would disappear completely. 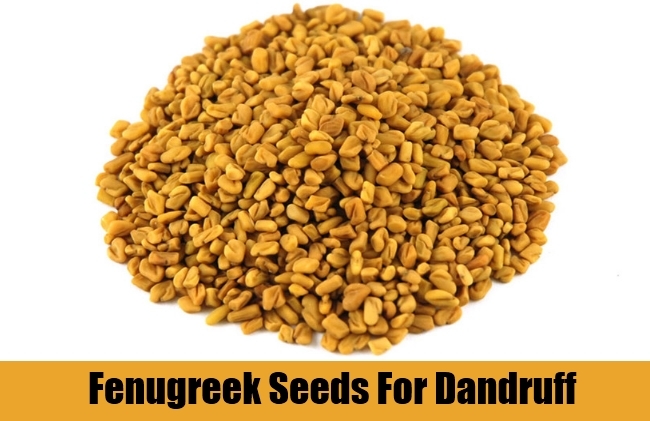 Fenugreek seeds are very effective for treating dandruff successfully. Grind one tablespoon of fenugreek seeds and soak them in two cups of water and keep aside the mixture overnight. In the morning strain the water and use it to rinse your hair. As an alternative remedy you can even soak overnight two tablespoons of fenugreek seeds in water and then crush them into a fine paste the next day. Apply this paste on your entire scalp and leave for at least 30 minutes. After this wash your hair properly. Follow this remedy regularly as it helps to keep your hair healthy and treats dandruff successfully. 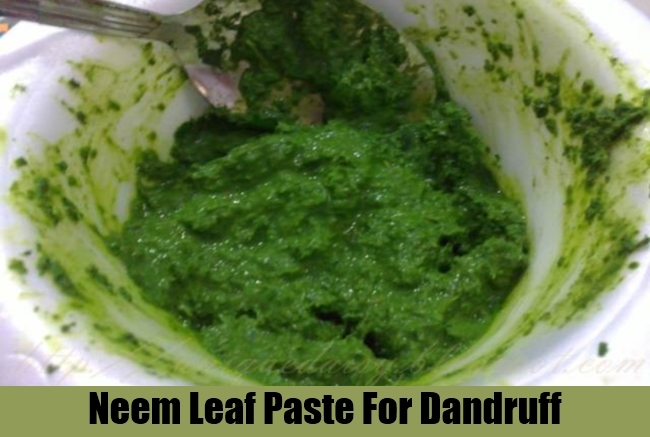 Neem as we know is a plant with a lot of medicinal values, hence applying neem leaf paste in the scalp is also a very effective remedy to treat dandruff. Crush some neem leaves and make a fine paste. Now apply this paste all over your scalp and massage the scalp gently. Keep this paste for about one hour and then wash it off with cold water. This paste is very effective for treating dandruff completely. 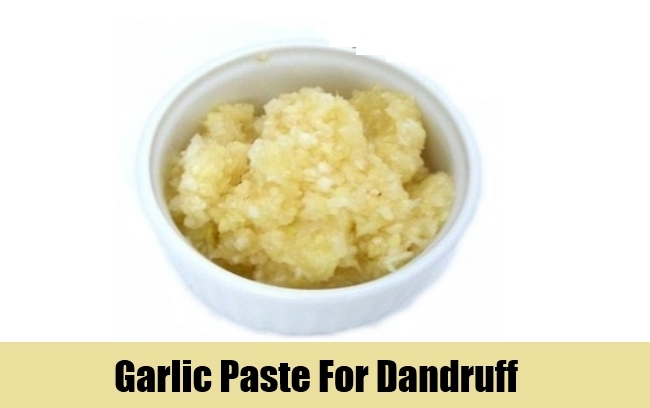 Applying garlic and lemon juice paste on the scalp acts as an amazing remedy for treating dandruff. Take about two tablespoon of garlic powder and mix it very well with one tablespoon of lemon juice. Mix well to make a fine paste. Now apply this paste on your scalp and massage it well. Leave the paste for about half an hour and then wash it off with a mild herbal shampoo. This remedy acts wonders in treating dandruff. 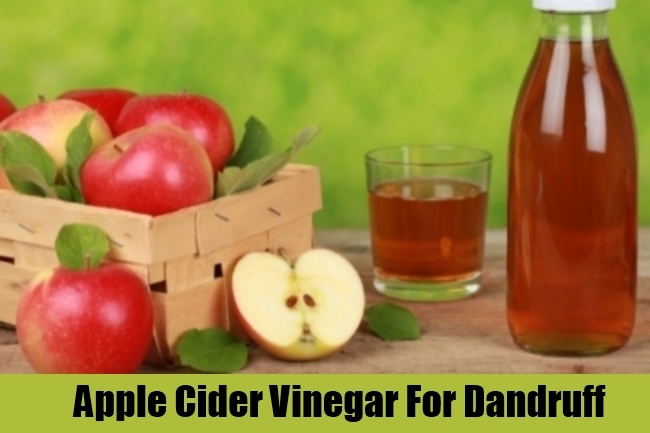 Applying apple cider vinegar on the scalp is a very effective natural remedy to treat dandruff. Massage the entire scalp gently with apple cider vinegar and leave it for about half an hour to forty minutes. Then rinse the hair well with a mild herbal shampoo. This remedy is considered very effective as it removes dandruff completely and keeps the hair healthy and glowing as well. If you follow these effective home remedies regularly then you can successfully treat dandruff to a great extent.